The Japanese have a saying: On-ko-chi- shin, meaning “ask old things” to “know new things.” The Confucian proverb encourages taking lessons from the past and learning from the wisdom of the ancients in order to forge new paths. 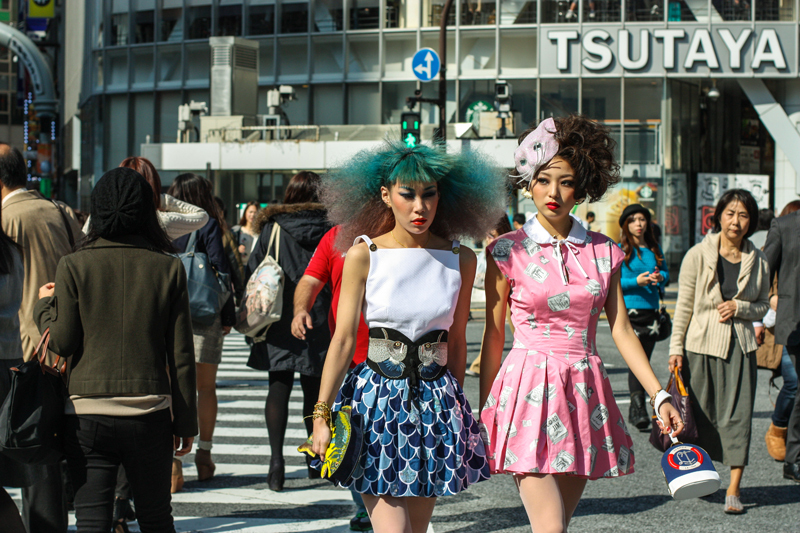 From an outsider’s perspective, Japan is all about the new. Japanese culture with its obsession towards perfectionism (and the equally strong pull against perfect uniformity) seems the ideal incubator for the latest crazes and headshaking forms of self-expression. Michiyo, a Tokyo guide, explains that “Japanese are perfectionists. We find something we like and will immerse ourselves in it to the end.” But somewhere along the line, amidst sensational stories of eyeball licking, hadoken-ing knockout photos and bagel heads, Japan became the arbiter of cool. 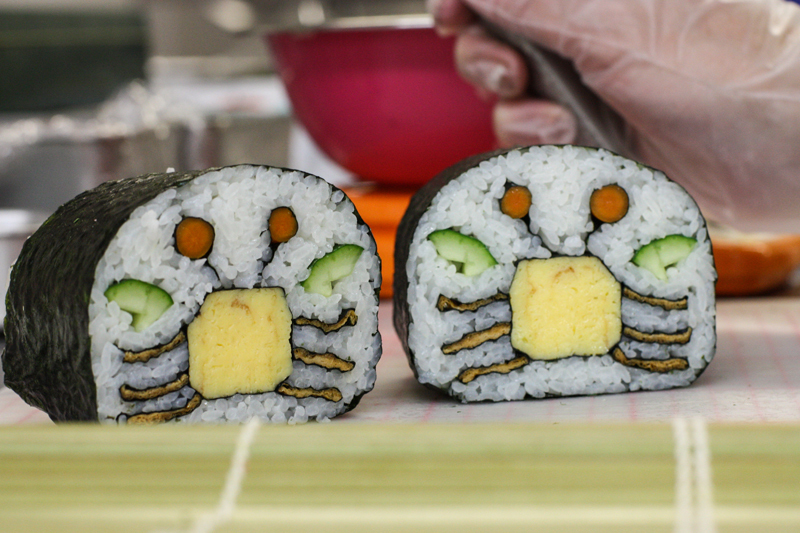 Hello Kitty, Pac-Man, energy drinks and anime are worldwide phenomena originating in the Land of the Rising Sun. But increasingly, what appears to be new may actually be a reinvention of the old, a living expression of on-ko-chi-shin, on display on the streets of frenetic Tokyo, where Lolitas (modeled after Victorian-era schoolgirls) walk side by side with kimono-clad matrons. While some tales say sushi was fortuitously discovered by an old woman who stashed her pots of rice high up in an osprey’s nest far from thieving hands, only to come back and find her rice had fermented and got mixed with tasty scraps of fish, sushi most likely originated as a way to preserve seafood using the acid from fermenting rice. 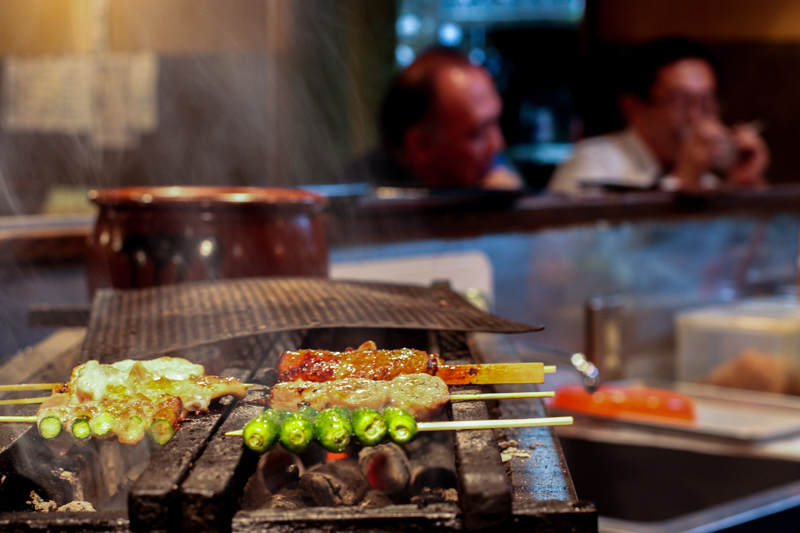 With the invention of rice vinegar, the process of sushi-making went from months to days, making it available to the Japanese masses and then the world. 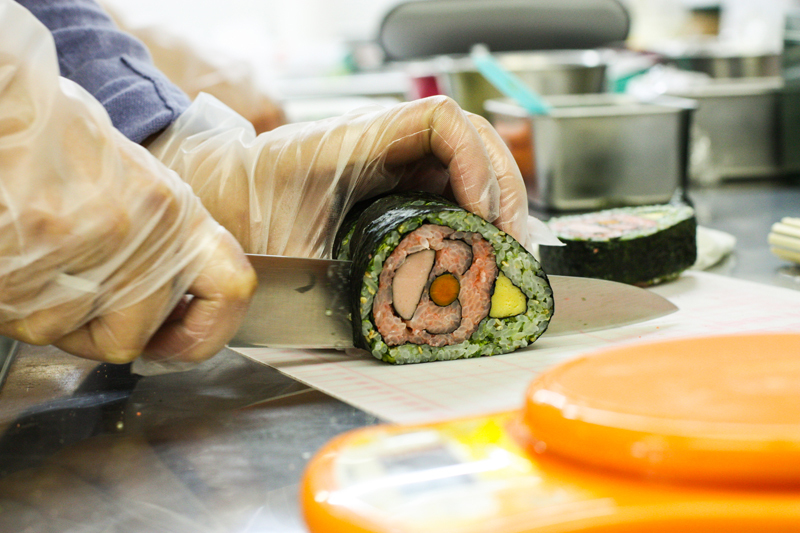 “You’ll probably never see these in a restaurant,” says Sachiko Goto, vice president of the academy. 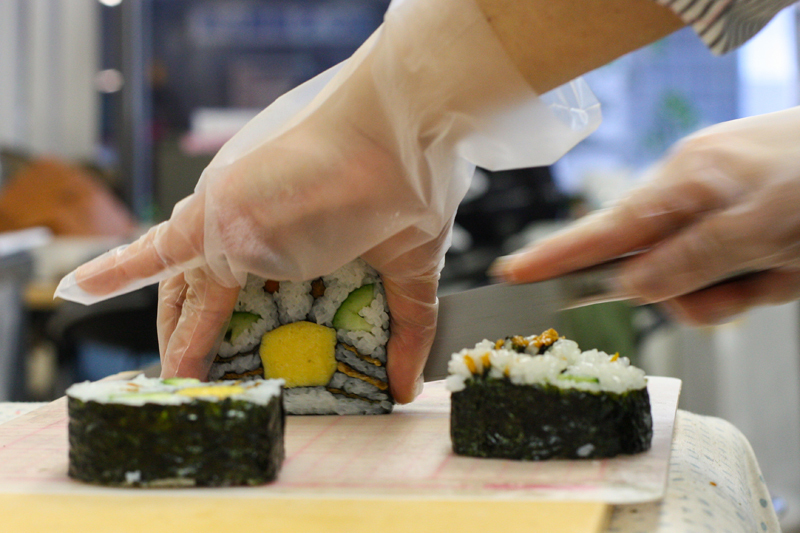 “While a skillful sushi chef can make a regular roll in two to three minutes, one art roll can sometimes take 30 minutes and only yield four or five slices.” The academy has filled orders for everything from corporate logos to sports team mascots. One particularly difficult design involved Olympic rings, the face of a table tennis player and a Japanese flag. In the wet market, Reiko points out some of the old ways – a woman who deftly uses an abacus to tally up purchases and a traditional woven basket strung from the ceiling used as a cash register. A few solitary handcarts are lined up outside, abandoned for the fast electric carts which whiz around tight corners, oblivious tourists be damned. 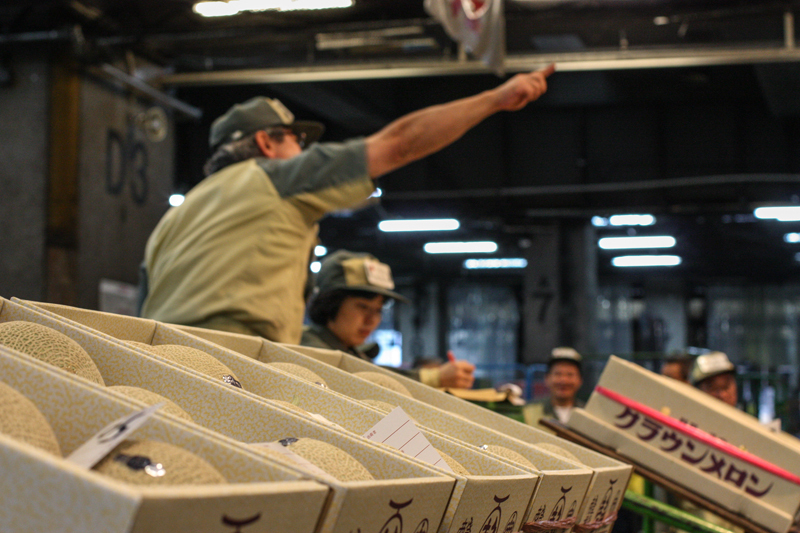 Technology has come to Tsukiji, bringing with it sanitation and efficiency. Despite 2,000 tons of seafood changing hands daily, the market barely smells fishy thanks to roving sanitation inspectors with the latest in laser thermometers to ensure the products are fresh. Mountains of used styrofoam containers for both live and flash frozen fish are ground up and melted into industrial-sized cakes of resin for export right on the grounds of the market. New properties often look back to find inspiration when it comes to design aesthetics. The award-winning 37-story Conrad Tokyo, is an example of marrying elements of traditional Japanese architecture with contemporary design. Entrances are perfectly square, emulating Shinto torii gates, denoting visitors are about to enter a sacred space. In the lobby, “Purification”, a modern oversized sculpture is designed to alleviate modern-day stress and fatigue. Elements reflecting the Shinto (“the way of the gods”) reverence for nature are also woven throughout the property, in the form of sakura (cherry blossom) motifs in the carpets, sumi-e (brush paintings) of trees and birds, live pine cuttings in each room and even the light-rimmed circular mirrors, mimicking the full moon. As any otaku (geek) knows, Akihabara, Tokyo’s electronics mecca, is the place to hang out, where cosplay-ers (short for ‘costume play’) in elaborate outfits find themselves at home amidst shops specializing in anime, manga and retro video games. For a lonely otaku, an hour with a cute, giggling girl in a French maid outfit who calls you “Master” while hand feeding you dessert and playing rock-paper- scissors may sound like heaven, explaining the estimated nearly 300 maid cafes which have opened in Akihabara alone since they first appeared in 2001. 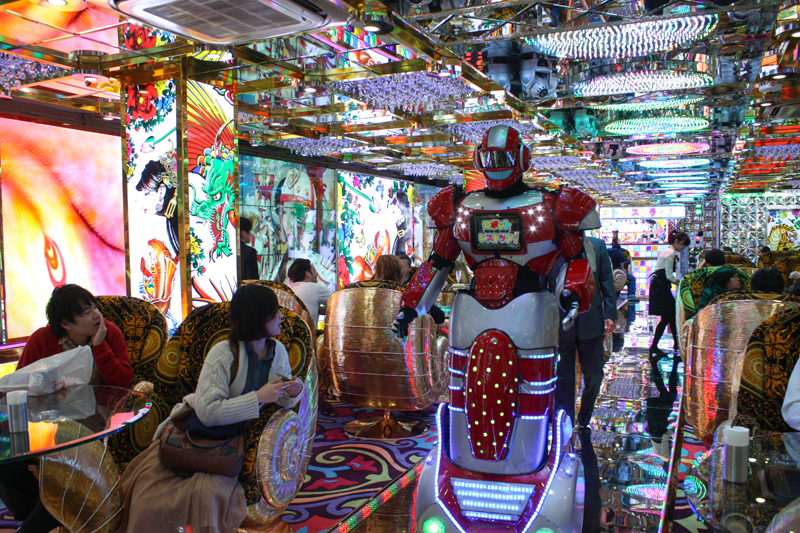 But the maid cafes have found their match in the Robot Restaurant which opened last year, reportedly at a cost of USD100 million. Visitors are greeted outside the restaurant by robotic dinosaurs and aliens, providing the smallest of hints of what’s to come. The 70-minute experience is in part seizure-inducing, awe- inspiring and head-scratching, an homage to everything gaudy, blinking and deliriously gleeful. Flashing lights, flat panel screens, psychedelic colors and lasers covering every available surface assault the senses, and we haven’t even gotten to the main showroom yet. As the crowd filters in – part tourist, part work colleagues looking for some fun, part middle-aged single guys – bento boxes and light sticks are handed out. What follows is a blur of million-dollar, larger than life robots, staged battles between what looks to be Kung Fu Panda riding a giant cow against samurai robot warlords and a taiko drum sequence by scantily clad, white-wigged beauties. This is every boy’s Princess Leia fantasy reinvented for the new millennium. 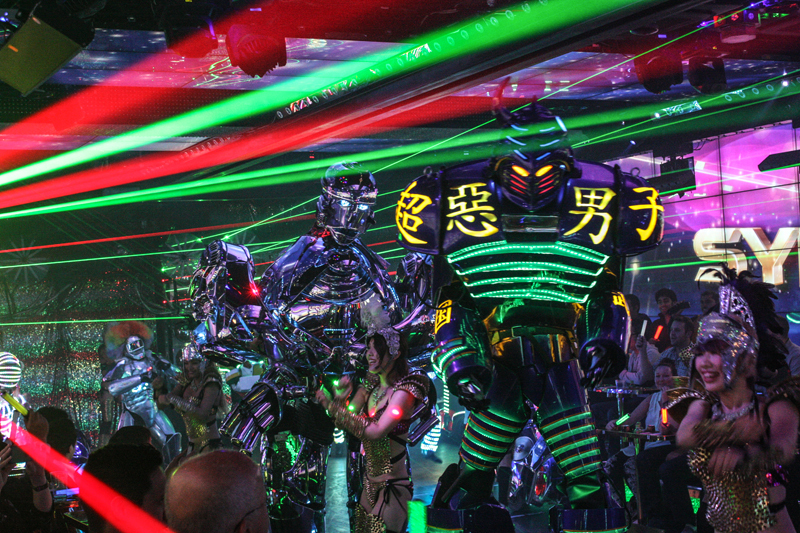 If the quirky celebrities who’ve visited the Robot Restaurant, ranging from JJ Abrams to Katy Perry to tim Burton, are any indication, the otakus of the world have a new place to call home. 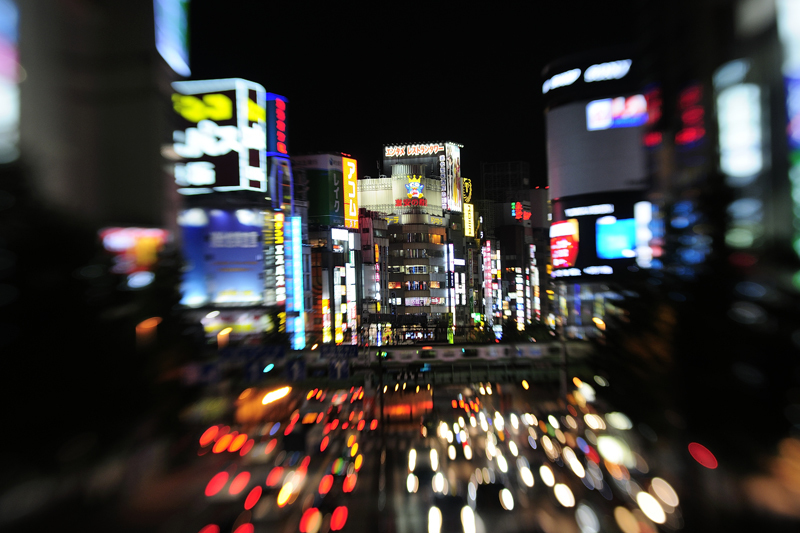 The Japanese are known for their life expectancy, perennially the world’s longest. While good genes, a leaner diet and a more active lifestyle are often cited as factors, Japan is also spearheading the trend towards being more health conscious. Food creator and writer Yuka Togami is a proponent of fermented foods and macrobiotics, a low-fat, low-sugar, high-fiber diet focusing on whole grains and vegetables. Founded by Japanese educator George Oshawa in the early 20th century (and further mainstreamed by celebrities like Madonna and Gwyneth Paltrow), the macrobiotic movement addresses spiritual health and balance in addition to the physical side. But that workaholic tide may be turning. “Nowadays when the work day is done, young people are saying: I’m sorry but I have to go home to my family,” says Meg. 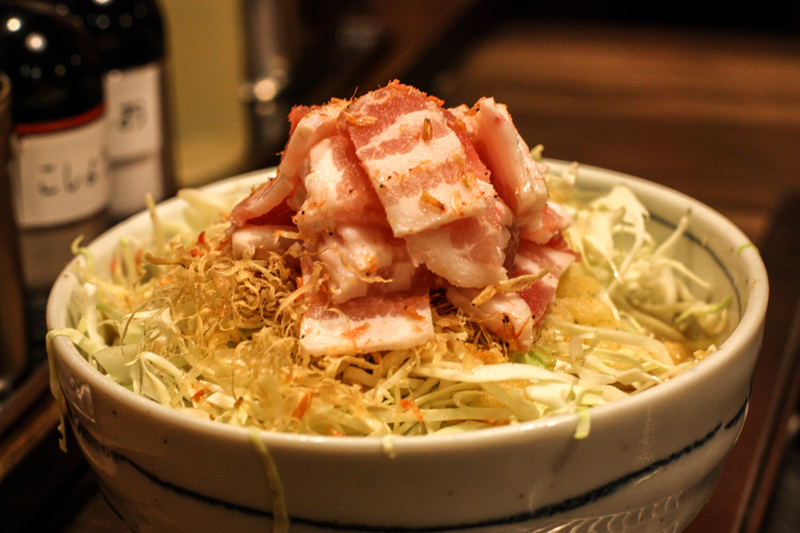 “With changing economics, keeping the same job even if you don’t like it isn’t the norm anymore.” We hop on the metro and head out to Tsukishima for monjayaki, a popular savory pancake, evidenced by the 70 or so similar restaurants that line the road. Inside, the atmosphere is raucous and alive, filled with family and friends. Meg orders monjayaki with bacon and cheese and proceeds to cook the pancake on the table’s hot plate. “You can choose your own ingredients, like pork, fish, spicy eggs or seafood and as you can see, this dish is designed to be shared so it’s nice to have in a group”, perhaps a reflection of Japan’s shifting focus from work to family.